Ships tomorrow if you order in the next 21 hours 34 minutes. Cranberries contain a unique class of flavonoids called anthocyanins. These powerful antioxidants protect cells from free radical damage. Cranberries also hold unique plant acids like quinic acid, malic acid, citric acid and benzoic acid that help reduce the pH of the urinary tract, which lends support for a healthy bladder. 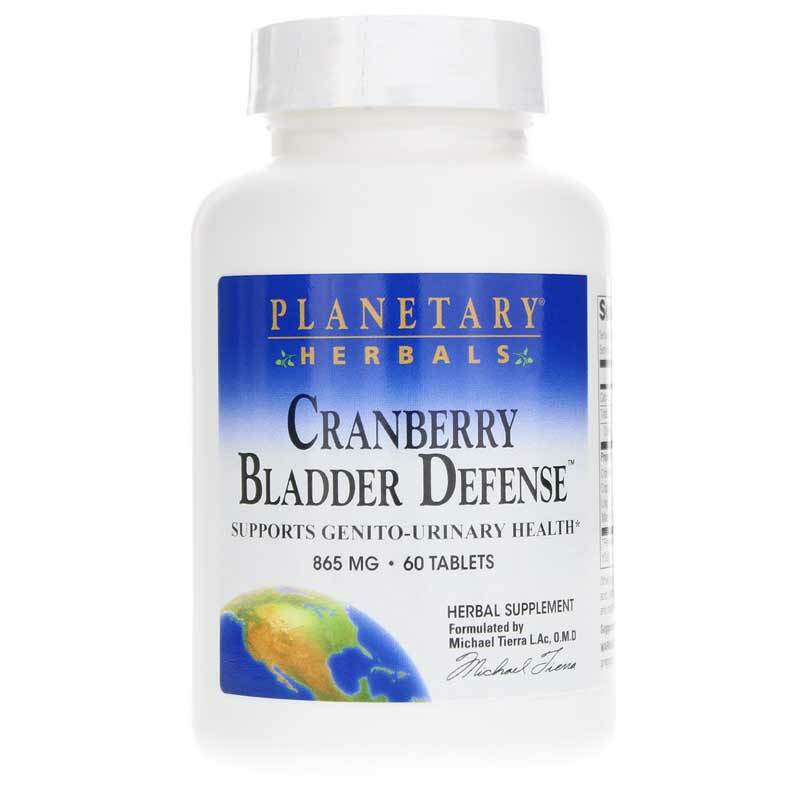 Planetary Herbals offers a natural supplement called Cranberry Bladder Defense that supports genitourinary health. This proprietary blend includes cranberry fruit extract, uva ursi leaf extract, poria sclerotium, Echinacea purpurea and pallida root extract, coptis root, zhu ling sclerotium, marshmallow root and Asian water plantain rhizome. If you're looking for a natural supplement that supports genitourinary health, check into Planetary Herbals' Cranberry Bladder Defense. Order online today! ---Cranberry Fruit Extract (90% cranberry solids), Uva Ursi Leaf Extract, Poria Sclerotium, Echinacea purpurea and pallida Root Extract, Coptis Root, Zhu Ling Sclerotium, Marshmallow Root, and Asian Water Plantain Rhizome. 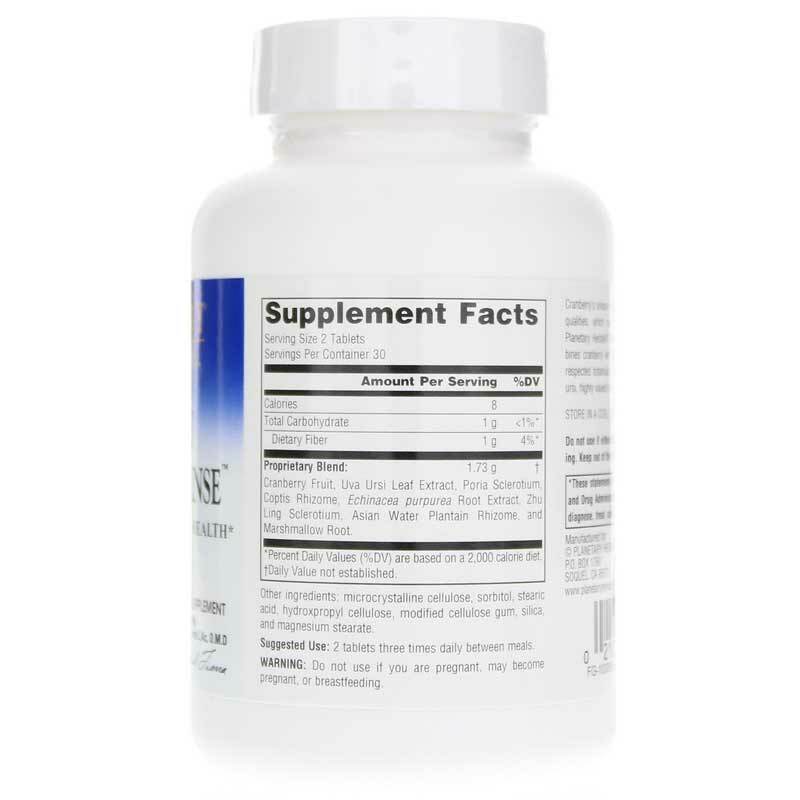 Adults: 2 tablets three times daily between meals. Do not use if you are pregnant, may become pregnant, or breastfeeding. Do not use if either tamper-evident seal is broken or missing. Keep out of the reach of children. Store in a cool, dry place.